Travis Kalanick appears to have finally given up in his war for control of Uber. Kalanick will sell 29% of his stake in the company for $1.4 billion (Rs. 9,000 crore), reported Bloomberg. The sale will be a part of the shares that were being bought by Softbank which had valued Uber at $48 billion. Kalanick was reportedly willing to sell up to half his shares, but had to settle for 29% as there was a limit on how much Softbank would buy. This sale effectively marks an end to the feud that had broken out between Kalanick and Uber’s board last year after a series of allegations of mismanagement had hit the firm. An engineer had published a damaging account of Uber’s workplace practices, alleging they were discriminatory towards women, and Uber had been found violating government guidelines as it spied on other taxi operators. A video had also emerged in which Kalanick was shown to be in a heated altercation with his own Uber driver, who’d accused Uber of not treating its drivers fairly. Kalanick had appeared to remain unfazed by the internal turmoil, and seemed resolute in continuing to lead Uber. However, he’d lost his mother in a freak boating accident on 28th May 2017, shortly after which he’d gone on an indefinite leave of absence from the company. But during his leave of absence, five of Uber’s major investors had demanded he resign immediately, following which he’d officially quit. Khosrowshahi, for the most part, had settled into the role of Uber CEO. It hadn’t been easy — Khosrowshahi had had to deal with controversies, including Uber being nearly banned in London, and a public disclosure that Uber had hidden information about a hack that exposed its user data. But Khosrowshahi appears to have has managed to steady Uber’s careening ship, and pacify its worried investors. 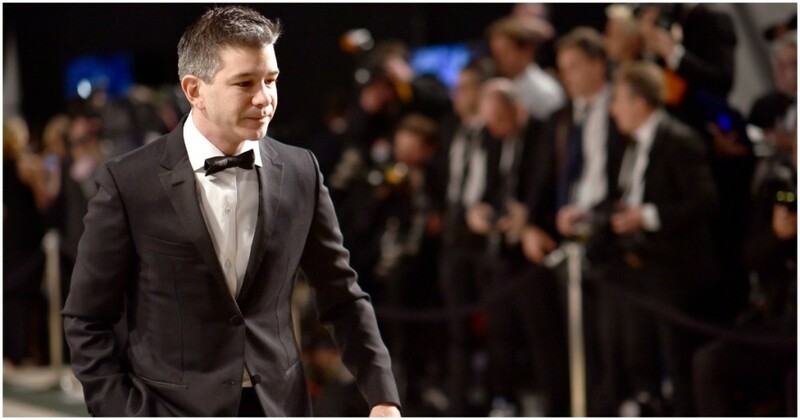 This has meant that the chances of a Steve Jobs-like return for Kalanick had become slim. Kalanick had been sharing the odd Uber-related update on his social media since his ouster, but those too had petered out by the end of the year. And after selling nearly a third of his share of the company he founded (and being willing to sell as much as 50%), he clearly believes he no longer has a say in how Uber is run. It’s an unfortunate situation to be pushed aside from the company you’d founded and nurtured, but Kalanick’s story still remains one of the most remarkable in Silicon Valley’s history. Over eight years, Kalanick built Uber into the most valuable startup in the world, and fundamentally changed how people across the planet commute on a daily basis. And while Kalanick didn’t quite see Uber to its IPO, his stock sale means he’s done pretty well for himself. Changing the world and having $1.4 billion in the bank isn’t a particularly bad outcome.